Transgender activists and allies are weaponizing their visibility against bigotry. 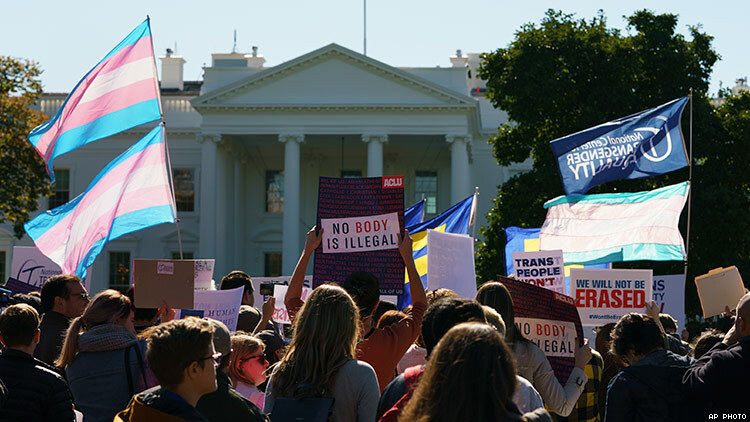 After news broke that a memo that could threaten the civil rights of transgender citizens was circulating among federal agencies, many are declaring that although the Trump administration may declare gender identity doesn't exist, transgender people #WontBeErased. The campaign, which highlights the endurance of the transgender community and the resistance to the government declaring that gender is based solely on genitalia, offers hope and empowerment in the wake of the dark news. Here are some of the most important messages from trans people, the parents of trans children, and other advocates. Your support for trans people should be unequivocal and unconditional.